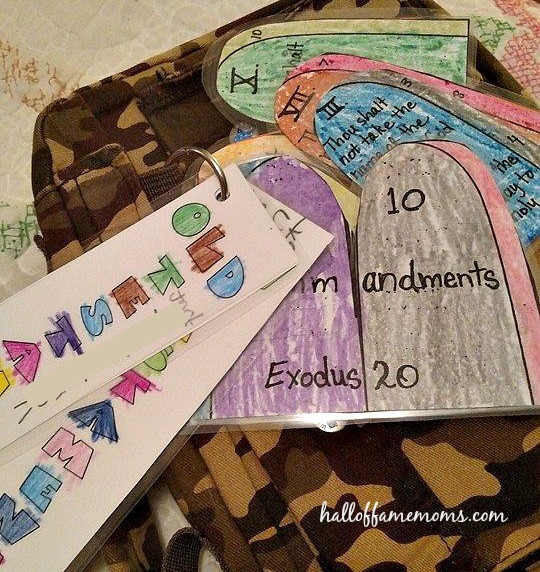 To help my boys memorize the Ten Commandments and the books of the Old and New Testaments I decided to put my laminator to work. 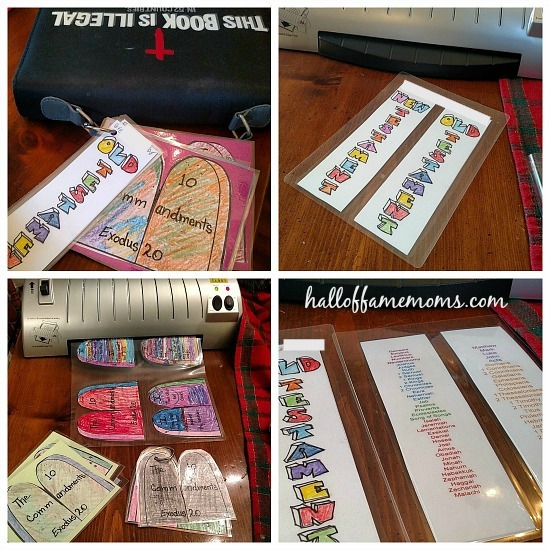 I love God’s Word (my Bible) and I love my boys and I really really like my laminator! Laminating these cards make them durable. They will last longer than just going with cardstock alone. 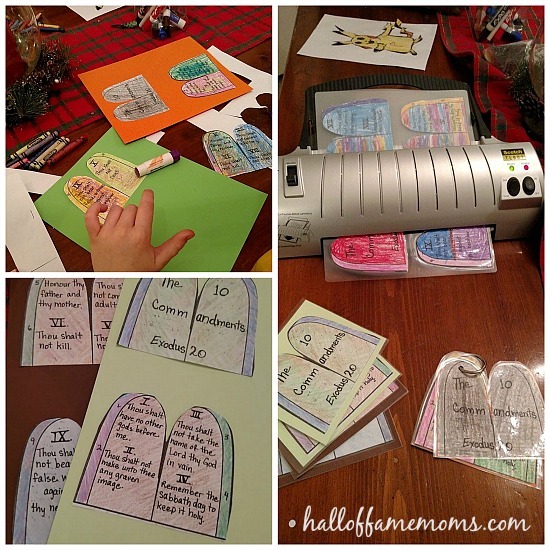 I did tweak the free printables for the Ten Commandments to my liking, the free printable bookmarkers I used for the books of the Bible were just fine. Below I’ll share links to these free printables and a list of what you’ll need. I’m also using my Amazon affiliate links in this post. Clicking through them will not cost you anything and if you buy something Amazon may pay me a little (a VERY little) for sharing their links with you. Thank you for supporting my blog. key ring (I buy a small box of mixed key ring sizes at Walmart, but these king ring clips might be nice too). While you can do your own search for other options, I believe I got my Ten Commandments printable from this source. I did print out a couple copies, used White-Out to cover any markings on the “stone tablets”, and made a page with a second set of stone tablets taped over the verse that is printed on one of the pages so that I had one page with two complete double-sided stone tablet. Clear? (As mud, right?) – I wanted a one page template of just the blank stone tablets from which to make my copies. I also wanted to use the King James Bible version for the commandments which isn’t the version used in the free printable. Since I was going to make copies for four kids (mine plus the two I babysit) plus myself it was worth the extra trouble to create an original of what I wanted. I did all the writing (on the tablets) by hand. I had the kids color them, we glued colored cardstock to the backs and cut them out. I laminated them, cut them as the kids wanted: in the shape of the stones or in card shape. Then I punched holes in them and slid them onto key rings. I got my free printables for this one from this source. You can register for free and find LOTS of free and affordable fun printables. Simply cut them out, glue the books onto the back of the Title side: Old Testament or New Testament. Laminate, punch holes and slide on a key ring. I put my boys’ key rings onto their Bibles, less likely to lose 🙂 . I think that’s it! 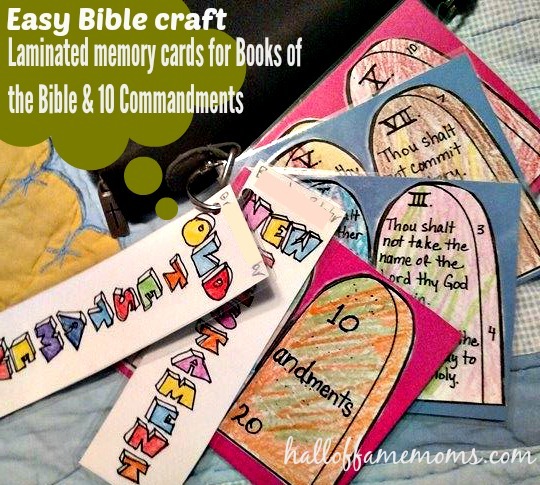 Pretty easy, not much work for the kids to do which is nice if they aren’t all into crafts and now they have some durable memory cards. They can even use a dry erase marker on them!